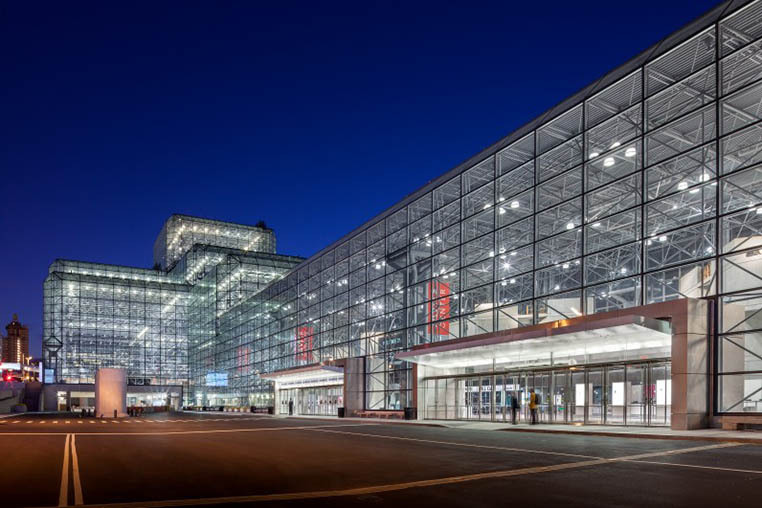 Located on Manhattan’s revitalized west side, the Jacob K. Javits Convention Center is the premier trade show, conference and special events center in New York City—and the busiest convention center in the United States. Originally designed by I.M. 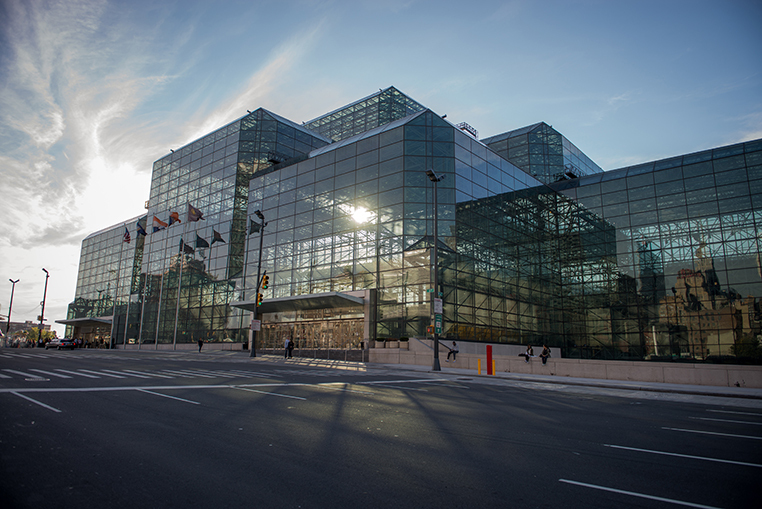 Pei and Partners in 1979, the Javits Center was modeled after London’s Crystal Palace and was the largest space frame structure in the world at that time. 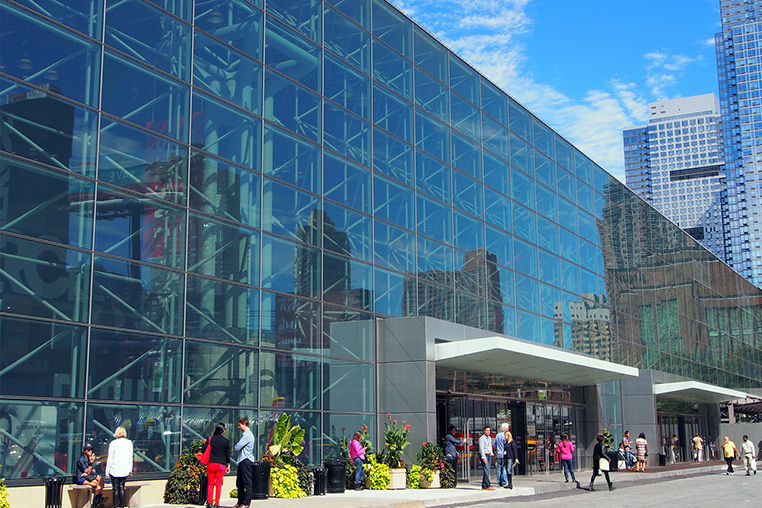 Its flexible glass box configuration accommodates exhibit halls of varying sizes while offering breathtaking views of the Hudson River. In 2010, this iconic building underwent an extensive renovation to upgrade the aging façade and modernize the interior space. A new high-performance curtain wall was installed that simplified and lightened the aesthetics of the original façade by changing the glass module from 5-by-5 feet to 5-by-10 feet. DSI Spaceframes modeled, fabricated and installed all renovations and modifications to the existing space frame structure, painting the steel members light gray. The result is a more transparent, open and airy appearance that has dramatically transformed the convention center’s voluminous public spaces. 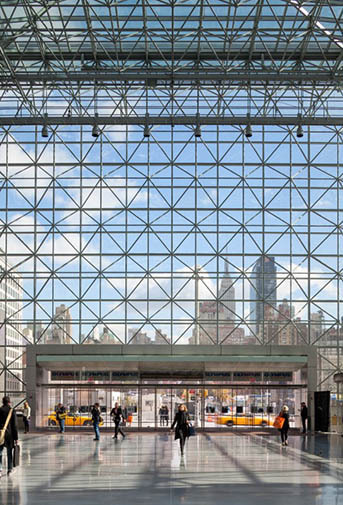 Today, the Javits Center continues to be the benchmark for space frame structures and represents one of the largest applications of this building technology in the world.